Rumors have swirled all across the net over last few days that October 23 is the release date for Apple iPad Mini 7.85 inches. Now, it is believed that the company has itself made this confirmed by sending out the invitations for the event to be held in San Jose. The 7.85 inches tablet will allow the company to directly compete with the rival tabs like Nexus 7 by Google and Kindle Fire by Amazon. Till date, Apple has ordered around 10 million iPad Mini tabs to be designed in the run before the Christmas season, double the amount of what the rival company Amazon ordered for the Kindle Fire HD tab and even the double of Microsoft which is set to launch the Surface tablets in same span of time. The 7.85 inches display of the iPad Mini will have the resolution of 1024 x 768 pixels. The screen will not be a retina display but it is predicted that it will have the same PPI as on the iPad 2. Also, the tab will be able to handle almost all apps. Talking about more features on the iPad Mini, it will have 2 cameras- one front facing for the FaceTime and video chat apps; the other one on rear side of the tab. 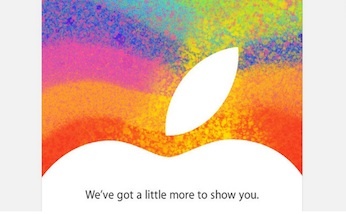 In case October 23 is the date of release for iPad Mini, Apple is actually positioning the release with other big launches by Microsoft and Google. Microsoft Surface will be available from 26th October while the Google 7 inches tablet will be available from 24th October. So, let’s see if the iPad Mini gets released on the rumored date or not. If all goes well, you will be able to buy the device soon. So, keep your wallets full to enjoy the amazing iPad Mini experience.